​2 Hour Video: "A Birds-Eye Overview Of The Ten Terrains." 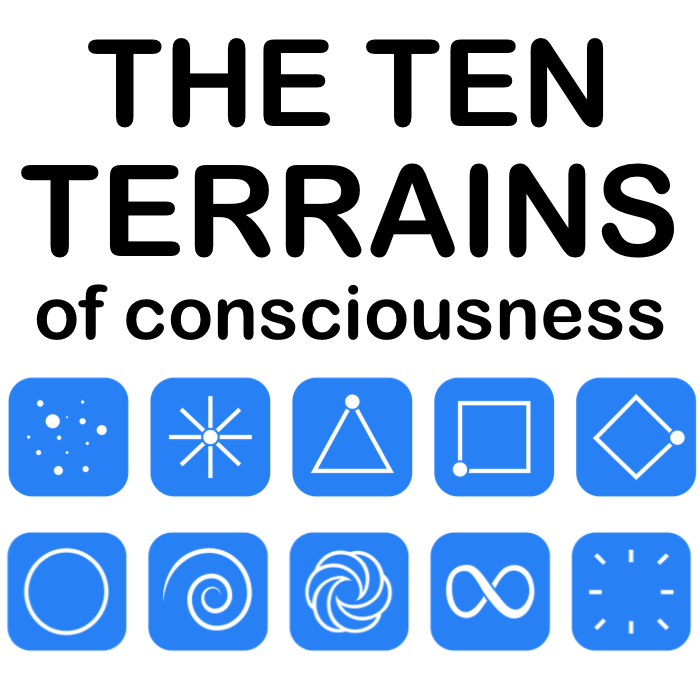 In this fascinating and entertaining video, Tahnee Woolf and Allen David Reed--the Co-Creators of the Ten Terrains Of Consciousness--present an overview of the Ten Terrains to an enraptured live audience. See just how powerfully this Model can be applied to your life and to the world around you. You will have many 'aha' moments! "I enjoyed every minute of your presentation, it all made so much sense and needs to be taught throughout the world!" ​"You guys did a truly fantastic job of expressing something completely new to the world. Your work is giving me a lot more compassion towards the people in my life. I'm loving it!" ​To access the video for the next 7 days, pay a one-time $7 contribution. ​so we can get this material to as many people as possible.